Chop 1 cup of the strawberries. (Refrigerate remaining berries.) In nonmetal bowl, gently stir together chopped strawberries, 1/4 cup sugar and the amaretto. Cover; refrigerate about 8 hours or overnight. Use a serrated bread knife to easily cut through the bread slices. Discard the loaf ends so each slice will readily soak up the egg mixture. 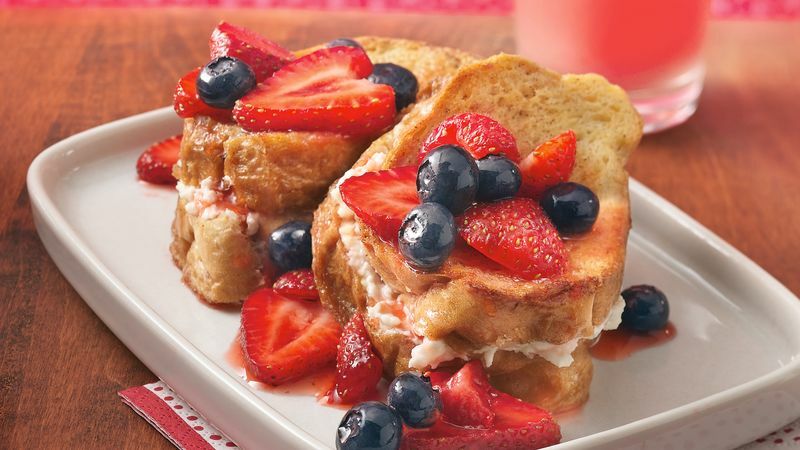 This is a great recipe to serve guests for breakfast since you can make it the night before.